As an experienced litigation and trial attorney, Brian Jensen has been providing legal representation that focuses on personal injury cases throughout the Texas area for more than 24 years. A board certified personal injury trial law attorney, Mr. Jensen has handled a wide range of personal injury cases ranging from catastrophic injuries and wrongful death to burn injuries and premises liability. 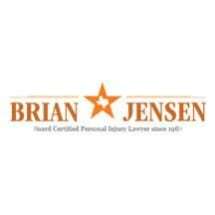 The law offices of Brian Jensen provides dependable and aggressive legal assistance in obtaining compensation for injuries that are the result of the negligence of another involving auto accidents, medical malpractice, product liability and premises liability. He has handled personal injury cases throughout Texas including Dallas, Houston, Beaumont, El Paso and Brownsville and tried cases in various counties including Harris, Galveston, Chambers, and Fort Bend. With his previous experience as an insurance defense attorney, Mr. Jensen has a thorough understanding and knowledge of the various strategies used by insurance companies in order to avoid a complete payment of compensation. Since 1986, Mr. Jensen has devoted his legal practice to representing injured individuals and pursuing their rightful compensation. Brian Jensen has been designated as an AV-rated attorney, the highest rating provided by the Martindale-Hubbell® Directory of Attorneys. He is licensed to practice in Southern, Northern, and Eastern Districts of Texas.